Robert J. Green hails originally from New Jersey. As a teenager he served as an altar boy at All Saints Episcopal Church in Scotch Plains. He graduated from Watchung Hills Regional High School and earned a Bachelor’s degree in psychology from Rutgers University. He began playing the organ and piano in restaurants and bars as a college student, and so began a lifelong career as a musician. Moving to south Florida in 1969, he performed around Ft. Lauderdale until a job offer took him to northern Ohio in 1975. In the same year he experienced a spiritual awakening and committed himself to a life of faith. Circumstances took him back to south Florida in late 1981, and he made a fateful decision to go to Key West for a weekend. The weekend turned into more than thirty years. It led him to life experiences he would not have imagined before. Some of these experiences inspired him to write music and screenplays. He continues to write and works with producer Anne O’Shea as a co-producer, composer, and screenwriter. 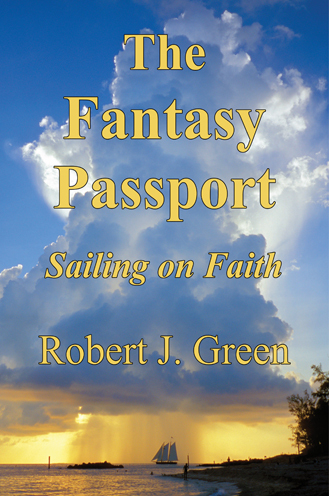 He serves as organist and Lay Minister at the First Congregational Church of Key West, where he delivered the sermons that make up this book. I get to spew out all this stuff I have floating around in my head and make believe I can actually change the world. 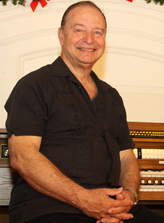 After serving more than twenty years as an organist in his church, the author took to the pulpit as a volunteer lay preacher. As a man of faith and reason, unbound by the usual constraints upon professional clergymen, he speaks his mind freely and openly as he addresses many of the perplexing issues confronting contemporary religion. In the process he proposes some unconventional answers, and makes some surprising revelations. He is not your typical clergyman, and this is not your typical book of sermons. It is a voyage of faith upon uncertain seas with the bright sun of hope lighting the way.